Australian Coal Association (ACA) represents the Black Coal Mining sector with more than 25 companies that produces 97 % of Australia’s Coal. Black coal is a vital national resource, playing a major role in Australia’s electricity, steel, cement and other manufacturing industries. The Association works closely with governments and has strong links with Australia’s other resource sector advocacy groups. 23/07/12 - Headquartered in Canberra, the Australian Coal Association (ACA) is primarily responsible for representing Australia’s black coal mining industry.The coal mining association is involved in advocating for a black coal mining industry that is safe, profitable, efficient and perhaps most importantly, environmentally sustainable.Federal, state and local governments recognise the coal mining association as it plays an important role in both the public policy debate and the development of such policy, with the ultimate aim of enhancing the black coal mining industry. 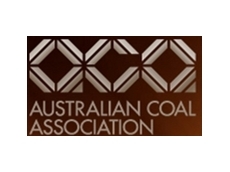 Furthermore, the coal mining association has strong links with other advocacy groups, including the NSW Minerals Council and the Queensland Resources Council. The coal mining association is comprised of 25 member companies who are, unsurprisingly, situated predominantly in New South Wales and Queensland. This reflects the fact that these two states are responsible for producing 97% of Australia’s black coal. However, member companies also exist in Western Australia and Tasmania. At present the use of black coal is a hotly contested topic, as its environmental impact is widely documented. 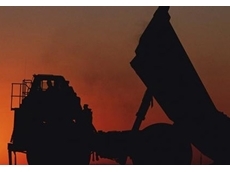 The coal mining association recognises that critics often fail to acknowledge the positive role the industry has played in Australia, namely in relation to its strong economy and overall development, and the fact that it employs thousands. It intends to change these negative perceptions. The ACA aims to strike a balance between environmental responsibility and the work of the black coal mining industry by promoting it, yet at the same time utilising technology and research in an attempt to reduce greenhouse gas emissions.